Deco Bioglitter® SPARKLE is a special TECHNICAL grade of Bioglitter designed and formulated specifically for general industrial coatings, printing, paints and art products. 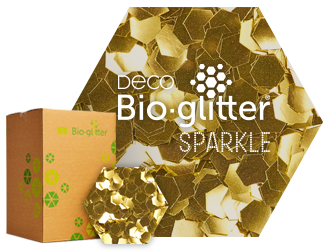 Deco Bioglitter® SPARKLE, uses our unique plant derived film to offer an eco-friendly glitter without equal in the industry and represents our brightest Deco Bioglitter® effect. 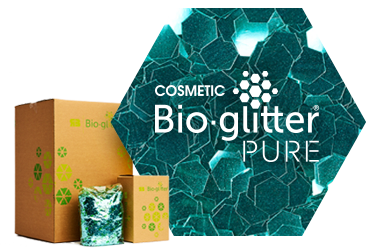 It offers a 100% plastic free, certified biodegradable and verified microplastic free glitter alternative, for where anything less is not an option! Guaranteed biodegradation in a natural, freshwater environment.